In addition to being sneaker obsessed, I'm also t-shirt obsessed. I found this super soft, vintage style v-neck at Target and I can't stop wearing it. I know, I've had some serious scores there lately! Since I like my tees on the slouchy side, I sized up (2 sizes to be exact) and ended up with the perfect fitting tee. Best of all, it was $10 bucks. Instead of wearing jeans, I went with skinny cargo pants, heels and my favorite new slouchy bag. That bag is absolutely perfect! 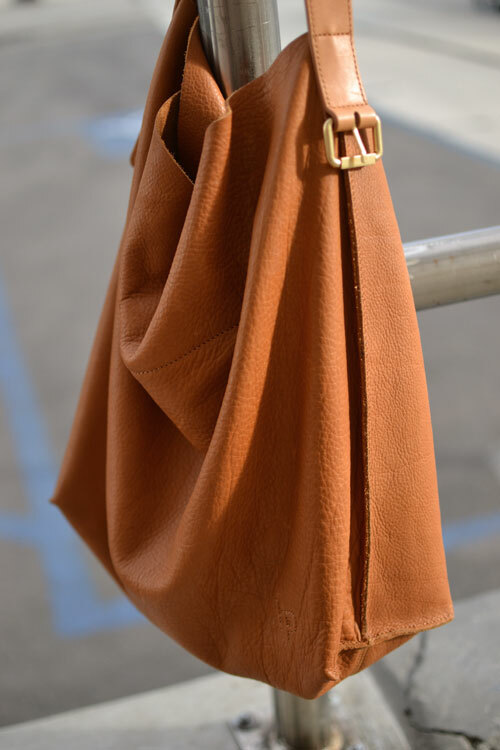 Linea Pelle has such great bags! And I love this outfit, it's so perfectly you! Hope things are well! xo! Cute and comfy! Win, win! Can you tell me where you got the ring on your thumb? 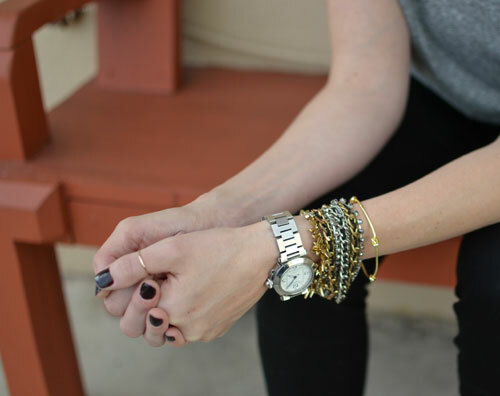 I have been looking for a simple, thin gold band forever. You think it would be easy to find but no!!!!! Oh it's the same company as the initial ring. Cool and cute! Thanks for updating the pic. Love a good slouchy tee (obviously lol)! Love the large purse, it looks like it can hold everything!! I need to buy more tees for Spring so I'm going to check out target :) they've been a bit too long on me in the past but maybe I'll have luck this time! Love this casual and comfy outfit! Looking great! I've been so t-shirt obsessed lately! Great look.